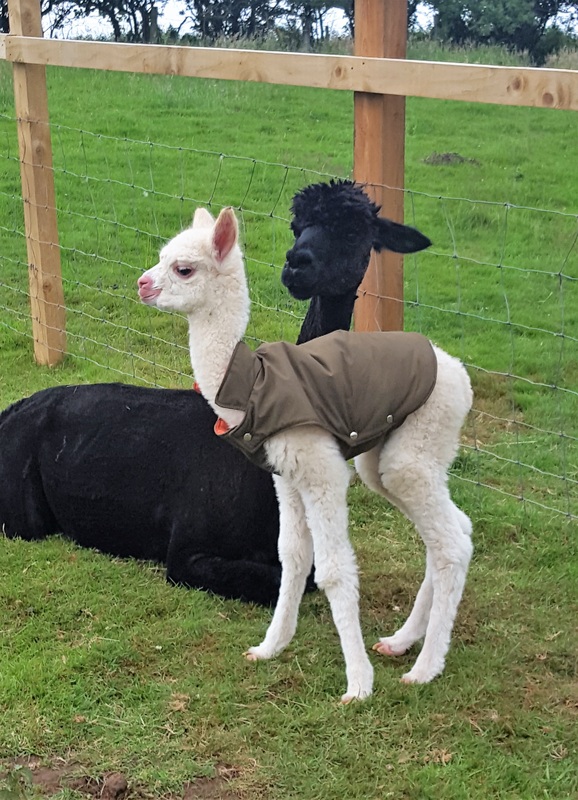 We currently have a wonderful package (Amanda, Hermione and Hera above) that would make an excellent starter herd for anyone looking to begin their alpaca breeding journey as they have superb genetics and are experienced, confident mums. They are for sale because I am at the top of my numbers for the land I have available. It was difficult to choose as I love them all but this group has a great bond and will appreciate the attention that being in a smaller herd would give them which is why I want them to go together. 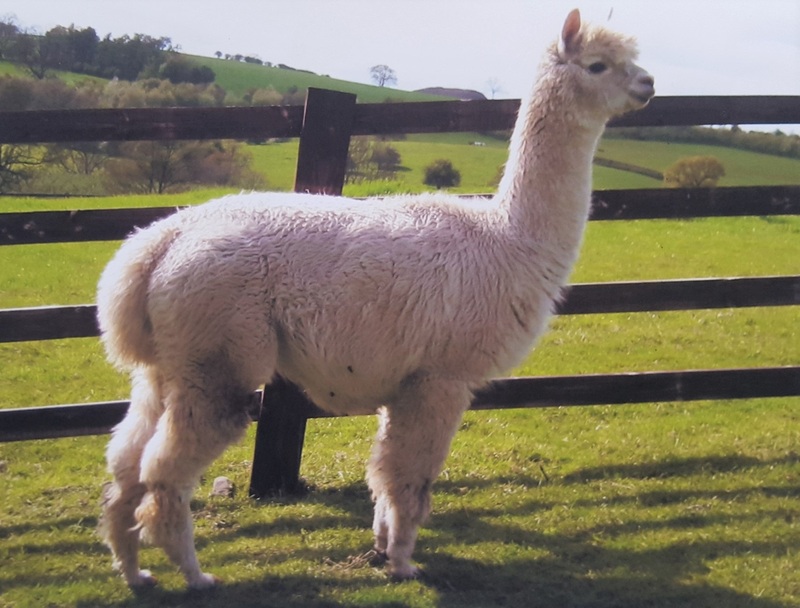 Amanda is 7 years old, her sire is EP Cambridge Top Account of Fowberry (British Alpaca Futurity Huacaya Herdsire Champion 2012) and her Dam is Burton Constable Bernadette. Grandsire is Commissario; Dam's grandsire is Accoyo Dostoyevsky (imp) so hence her very good fleece 17 microns in 2011 with above average crimp and brightness. 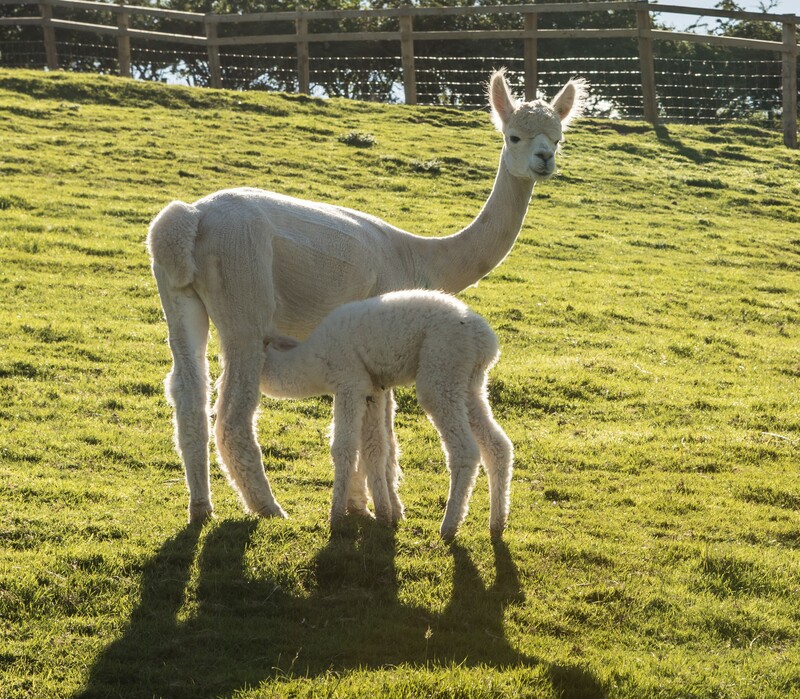 Her two female cria have inherited these characteristics and her recent male cria Herbie (Herbert) has outstanding brightness as well as a wonderful temperament. Mated to Demarco (son of Fowberry Nobility) Amanda started out nervous and has made huge progress and has enjoyed the company of our herd. She is a smart cookie and instantly twigs what is going on and where. Hera is well proportioned, exceptionally well built and has a strong frame. She is 14 and her sire is Toft Cornelius, grand sire CP Accoyo Cornelius. Her dam, Snowqueen, has impeccable colour consistency: all her cria have been white. Hera is an impressive and stylish female whose characteristics have been carried over to her cria. She is headstrong and loves to move in a separate direction to the herd! However, she does feel responsible for everybody and I have seen with amazement how she helped a maiden mum who was tired after giving birth and lying down too much, nudging her to get up and pushing the cria to the teat. She has a dense fleece, of very good quality when younger, being uniformly white with good brightness. Perfect mother, easy breeder: has bred a champion and our stud male Carlshead Banderas with Top Account. Hera has no cria at foot and although she has been mated to Carlshead Domingo, she will be sold as if empty.